You'll be cozy under this New England Patriots Tapestry Blanket while you watch the Patriots game. 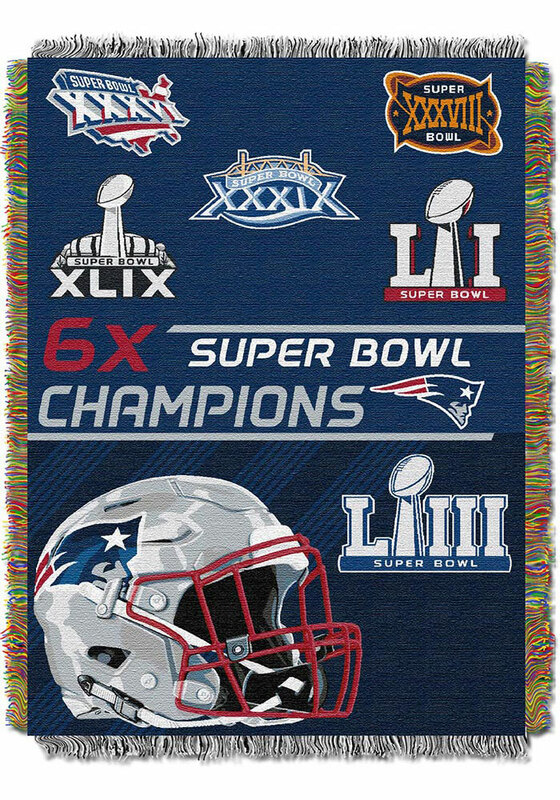 You'll love the look of this New England Patriots Tapestry Blanket, which features a licensed New England Patriots logo. Commemorate your team's victories with this blanket that highlights each victory year. Use this 48" x 60" tapestry as a room accent, bed covering, throw blanket, or wall-hanging.